If the basketball gods were to design the ugliest way to lose a ball game, this one managed to top that. The Rockets came into TD Garden severely shorthanded, missing Luc Mbah a Moute, starting center Clint Capela, and star point guard Chris Paul. Despite the injures, the Rockets managed to get off to an ungodly hot start, starting the first half 62-38 and they shot very well from behind the arc. It wasn't just the hot shooting either. The Rockets played some of their best defense all season in that 1st half. Houston was just clicking all around as a unit. Then the 2nd half from hell happened. The Rockets were just lethargic and sloppy in the 3rd quarter. The Rockets have struggled all year offensively when James Harden goes to the bench, but they managed to be even worse with Eric Gordon running the show. Harden missed multiple shots at the rim, the defense was bad, and suddenly Houston couldn't buy a shot. The Rockets got outscored 31-16. The Rockets played better offensively in the 4th, but they still couldn't find the bottom of the net from 3-PT range. In addition to all of this, the Rockets committed silly fouls, didn't communicate defensively, and stood around a lot on offense. James Harden was miserable. He continued his poor shooting and shot 2-8 from the field, but his shot selection is what was really puzzling. The Celtics were doing a great job at shading an extra defender in the paint and forcing Harden into tough contested 3s. Marcus Smart deserves a ton of credit for how much of a bear he was on Harden. What hurt the Rockets most of all was Harden committing dumb offensive fouls in an attempt to free himself and close the game. You can excuse the first one as an officiating mistake, but if you know the whistle is going a certain way, you're supposed to adjust and not commit the same mistake twice within the span of 10 seconds. This was a bad loss. 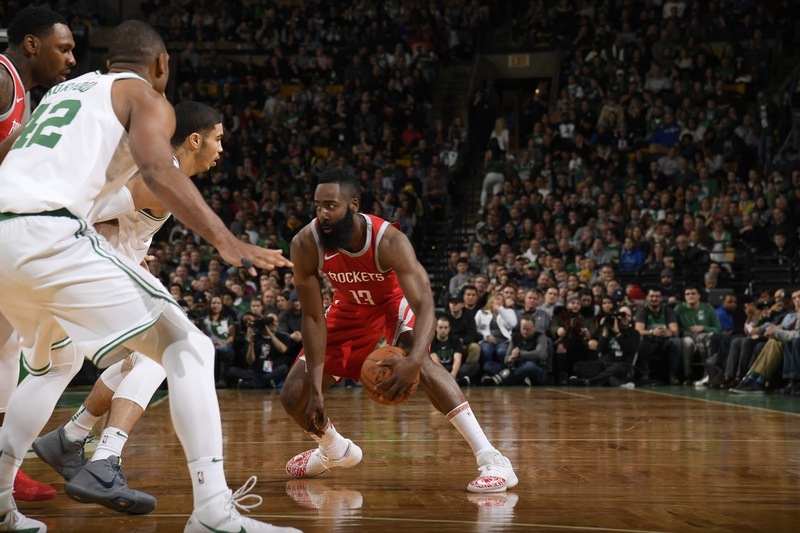 You can blame injuries, you can blame officiating, but it's ultimately inexcusable that the Rockets were up by 26 and let the Celtics come back and win this one. The whistle wasn't perfect, but what lost the Rockets this game was bad defense in the second half, questionable decision making, turnovers, and committing dumb fouls down the stretch. Without the silly mistakes, the Rockets wouldn't have had to worry about the game coming down to a couple calls.